We will provide a complimentary personal and customizable wedding website to share with family and friends. We can provide a wedding registry so your guests can give you the gift of travel (either towards your wedding, honeymoon or excursions you may wish to take onsite). We will advise you of the documentation and any other requirements or procedures necessary to get married in the destination of your choice. We will customize “Save-The-Dates” for you and send them out on your behalf to your guests and have them RSVP with us directly so you won’t have the stress of dealing with your guest’s travel plans. We will do everything we can to make your big day one to remember - and you can rest assured that all the little details will be taken care of so you cam relax and enjoy the wedding of your dreams, after all it’s Your Wedding Away! 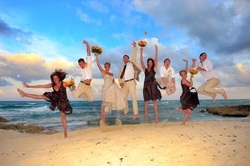 The popularity of the destination wedding has grown immensely in the past 15 years. 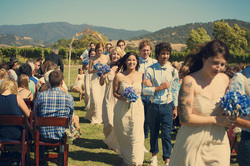 It was one unheard of but now destination weddings account for over 10% of all North American weddings. Need a quote for your upcoming destination wedding? Just fill out our form and we will reply back to you within 24 hours. No matter how big or small, wherever, whenever – we can help you plan your destination wedding, just the way you want it!